eFM is a comprehensive web-based resource developed by the Royal College of Obstetricians and Gynaecologists and the Royal College of Midwives in partnership with Health Education England e-Learning for Healthcare. A case study section which allows the learner to practise their skills at interpretation of an actual fetal heart rate recording, and the subsequent management in a virtual labour ward setting. The challenging nature of the content, including the interpretation of cardiotocographs and subsequent appropriate management, will provide learners with valuable knowledge that does not currently exist in other resources. This section is separated into ‘Test’ and ‘Learning’ case studies. Test case studies are to be worked through 1 trace hour at a time and will carry CPD points and certification. ‘Learning’ case studies have been designed with a ‘freedom of movement’ throughout the case study, enabling users to discuss and debate any point or trace hour, at any time. They will be designed to ignite discussion and will be a great addition to the classroom/lecture theatre as well as study groups. Learning case studies will not benefit from CPD points as there will be no scoring attached to these. eFM currently has 27 case studies, all of which have been developed, and updated in accordance with the 2017 NICE guidelines update. Three or more expert opinions have populated the clinical cases with their answers. Answers can now be collated and scored to give a final % score, to allow for CPD points (‘Test’ case studies only). Users are allowed as many attempts as they like to improve their score. ‘Learning’ case studies have also been created to provide a foundation for debate and classroom discussion. These will not carry CPD points. 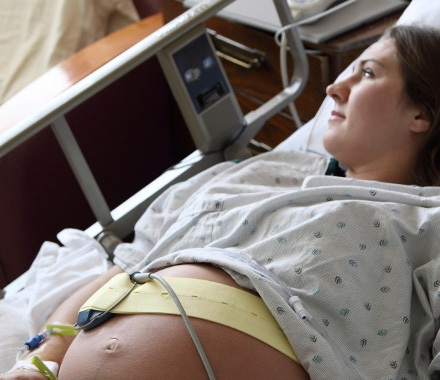 Obstetricians and midwives, both those training and those who have completed their training are required to independently interpret cardiotocographs (CTGs) in the crucial lead up to birth. eFM educates learners using assessment-driven, case-based learning. Interactive learning sessions will test knowledge of CTG interpretation and clinical management, and will provide feedback to the learner regarding their performance. This feedback is based on the collective responses of three experts. eFM teaches and assesses by mirroring real-life cases and situations. Learners will evaluate, interpret and reflect on a variety of situations presented, with the aim of minimising errors in the labour ward. Learners will be able to see the results of their actions including any life threatening harm to a baby and the subsequent litigation consequences for the doctor or midwife. Midwives and obstetricians, both those in training and those who have completed their training, will be able to assess themselves regularly and apply their knowledge in the same way they do in real-life situations. The Royal College of Obstetricians and Gynaecologists (RCOG) will add 60 cases every five years in order to reflect the continuing professional development cycle. Evidence of achievement can be used for recertification of healthcare professionals by the RCOG, the RCM and the Nursing and Midwifery Council (NMC). This course includes 5 assessments designed to test learners’ knowledge following completion of the sessions within each of the knowledge-based courses. The Continuing Professional Development (CPD) Programme of the Royal College of Obstetricians and Gynaecologists (RCOG) has agreed that CPD credits can be earned for the online materials in the eFM programme. Each ‘Test’ case study, published from 2015, where you achieve a pass mark of 80% will provide 2 credits in the Knowledge Based Assessment category. A certificate of completion ,which details your learning history, is available in pdf format for you to download or print out. eFM offers 23 knowledge based sessions, grouped into 4 learning paths, based on levels of complexity. Each session features graphics, animations, video and interactive questions. Also available, is a series of case studies, which allow the learner to practise their skills in interpretation of an actual fetal heart rate recording, and the subsequent management in a virtual labour ward setting. An example of a knowledge based session can be found below. To work your way through this, simply click on the ‘Next’ button on the top right hand corner of each page and follow the instructions on screen. This session describes the history of and rationale for fetal heart rate monitoring. We would also like to kindly acknowledge Prof Chris Redman and Mary Moulden from John Radcliffe Hospital, Oxford for their invaluable assistance in providing CTG cases for the eFM project. If you already have an account with e-LfH, then you can enrol on to the Fetal Monitoring programme by logging in to the e-LfH Hub, selecting My Account > Enrolment and selecting the programme. You can then access the programme immediately in the My e-Learning section. In the event that you do not qualify for free access to the Fetal Monitoring programme, you are able to license access through eIntegrity, a community-interest company established for this purpose. For more information on the licensing options available for the Fetal Monitoring programme, please visit the eIntegrity website. 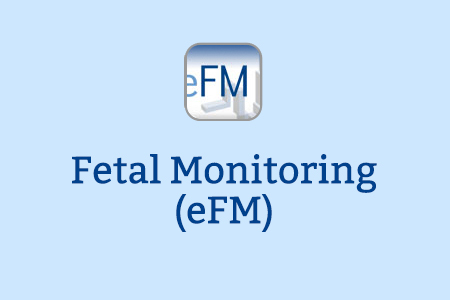 The Fetal Monitoring programme is also available to NHS healthcare staff via the Electronic Staff Record (ESR). Accessing this e-Learning via ESR means that your completions will transfer with you throughout your NHS career. eFM would like to acknowledge and thank Huntleigh for their ongoing support with this project.